We invite you to stay at our secluded and sheltered country park exclusively for adults only. We have 55 generous pitches all weather surfaced, all with electric. Our modern heated amenity building has free showers, wash cubicles for the ladies, a launderette, dish washing facilities and disabled en suite shower/toilet unit. We have an extensive information room and a small but well stocked shop where you can obtain your morning paper and milk. Two Mills is centrally located in North Norfolk 1 mile south of the small market town of North Walsham, with its historic market cross pictured below. Situated in superb countryside abounding in birds and wild life, it is the ideal haven of peace and quiet from which to explore the delights of this unspoilt corner of the country. 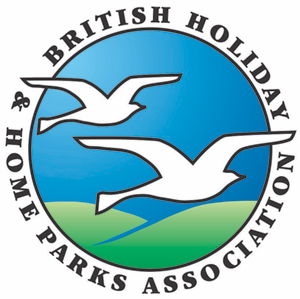 National Trust properties and wildlife centres/nature reserves within a few miles. The surrounding quiet country lanes and byways are ideal for both cycling and walking as are the miles of sandy beaches to be found locally. Good eating establishments abound, our nearest country hotel/restaurant is a mere 150 yards away. At Two Mills we understand that service is essential, whether you are new to caravanning or a seasoned caravanner, if you wish we will help you. We will reverse your caravan, assist with your awning or help in any way we can. Exclusively for adults only, a tranquil park with level well drained pitches. As resident owners we offer a friendly helpful service. Prices inclusive of electric hook-up. 1 mile south of North Walsham after passing police station and hospital, opposite Scarborough Hill House hotel and restaurant.